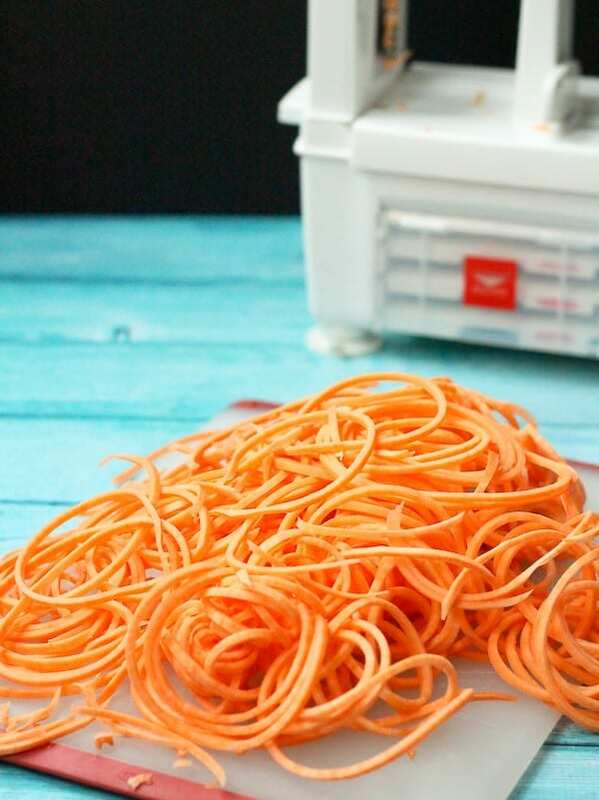 Learn how to make sweet potato noodles with this simple guide – it’s so easy and a great fun way to eat more vegetables. 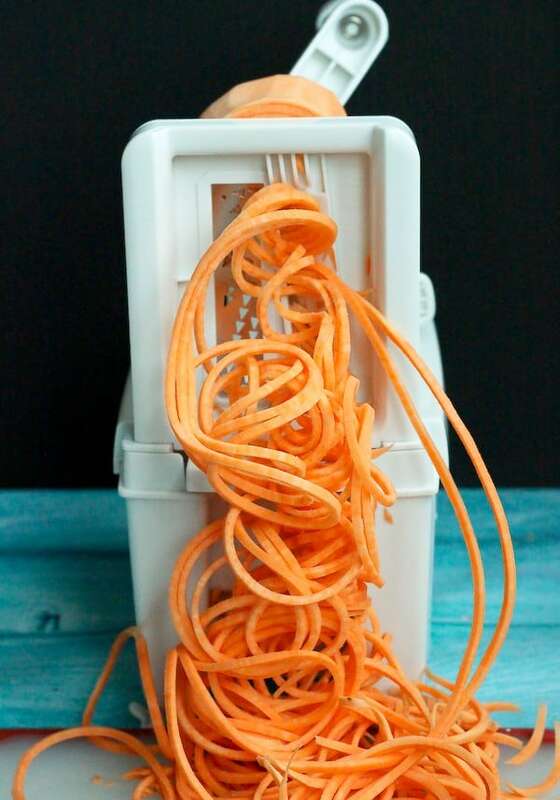 Have you all picked up a spiralizer yet? I have been loving mine. If you’re scratching your head, check out my zucchini noodles with turkey bolognese, cucumber ribbon salad with yogurt herb dressing, pizza zucchini noodles, or turkey soup with zucchini noodles. 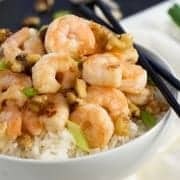 It’s a great way to replace pasta and cut down on the overall calorie content of your meal. The bonus is that you’re also eating more nutrient rich vegetables AND they taste great. Oh and they’re super fun. I thought about pairing these sweet potato noodles with something. I know plain sweet potato noodles might seem a little dull. Honest to goodness, they’re great on their own. You could totally eat them like this. But they’re unbelievably versatile once you get the hang of the general process of how to make sweet potato noodles. Which is what we are going to talk about today. I’ve been trying to focus on the basics more often – once you get the basics down, cooking is so much easier and so fun. Scrub scrub scrub until all dirt is gone. Cut off ends so you have nice flat surfaces on both ends. Spritz spritz with cooking spray or olive oil. Roast until golden brown and soft. I purchased the Paderno 3-blade spiralizer probably about a year ago and I adore it. Then Paderno asked me if I wanted to try out their newer 4-blade spiralizer. Umm, YES. I tried it out and decided I loved it. 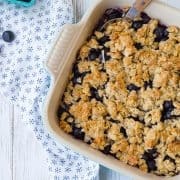 I passed my 3-blade on to a good friend who just started her own food blog, Chocolate Slopes. Edited to add – In efforts to be extremely transparent, I’ve now purchased and tried the Inspiralizer and it is my new favorite – it has genius features that make it a step above (better suction to the counter, better blade system, etc.). -The core that is produced is much smaller. 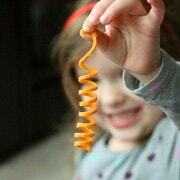 This not only cuts down on waste but it also makes it easier to spiralize smaller vegetables such as carrots. And it makes it so you can get those ADORABLE tiny little spirals. -In terms of storage, the 4-blade takes up less space and is safer, with all blades kept inside when in storage position. Can you believe that pile of noodles? That’s from one average size sweet potato! You get tiny noodles…. If this doesn’t make eating vegetables fun, I don’t know what does. We love spiralizing sweet potatoes, zucchini, and cucumbers. Coming up soon are carrots, beets, butternut squash, and whatever else I can get my hands on. I hope you learned something about how to make sweet potato noodles! Clean sweet potato and peel if desired. Cut off both ends of sweet potato so they are nice and flat. Affix onto spiralizer and spiralize using “spaghetti” blade. Lay out sweet potato noodles on baking sheet and spray lightly with nonstick cooking spray or olive oil spray. Sprinkle with salt and pepper. Bake for 10 minutes or until golden brown and softened. Enjoy with your favorite pasta sauce — or on their own! Verdict: The whole fam loved these noodles! Husband’s take: He LOVES when I use the spiralizer. I’m so grateful for a hubby who appreciates healthy food. Disclosure: I received a spiralizer form Paderno at no cost to me for purpose of this review. All opinions are, as always, my own. Edited to add: I’ve now tried the Inspiralizer and it is my new favorite. 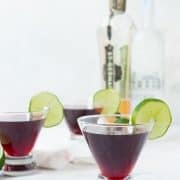 These are so pretty, I need to make them! That color alone makes me want to eat them :). Spiralizer is fantastic! Great way to eat veggies! Your daughter looks like she had a blast helping! I can’t wait to try these! I love veggie noodles and the sweet potato ones are so pretty! Oh, so lusting after that spiralizer! My little hand-held guy works, but it’s not nearly as much fun or versatile. 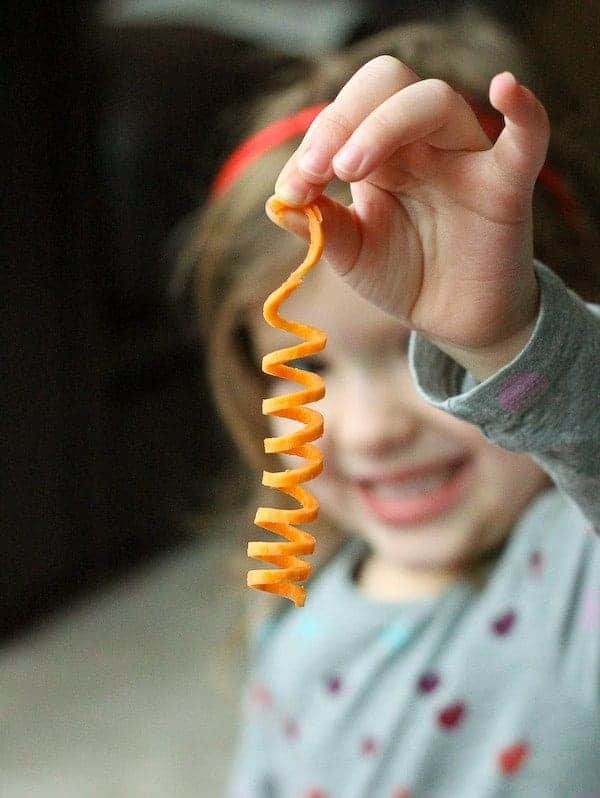 That Spiralizer looks like too much fun! Does a sweet, brown eyed cutie pie come with each one? LOVE LOVE LOVE my Paderno spiralizer! So glad someone else is singing the praises of plain sweet potato noodles. Sweet potato noodles and I have a thing going on…ok, maybe it’s just on my end…I’m obsessed! 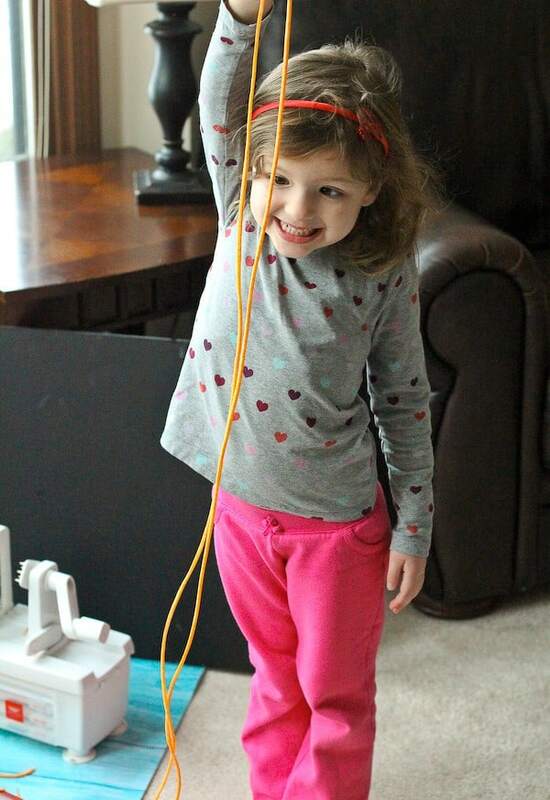 Love that picture of your little girl with the long noodles! The look on that sweet face says it all, doesn’t it? 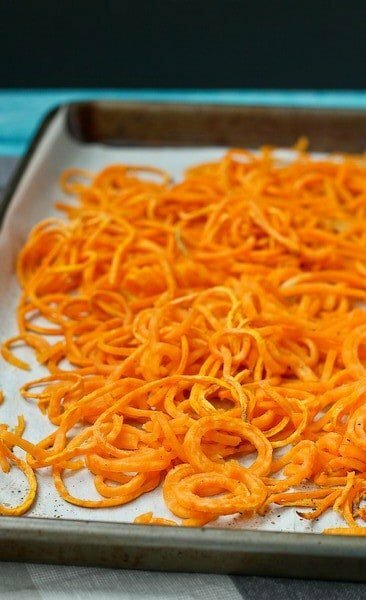 I really need to bite the bullet and get a spiralizer – these are great! I was just looking at this cutter on Monday and fell in love but couldn’t spent the money. I just bought a hand held spiralizer and have yet to try sweet potatoes. They’re next on my list! 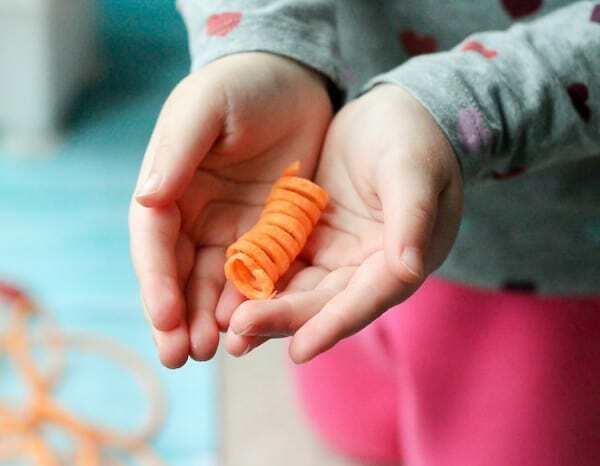 This spiralizer is so cool! I definitely need to get me one of those… :) And I love those sweet potato noodles. And the girlie holding them! ps. I’m hosting two giveaways on my site this week…would love for you to enter! I have seen sooo many awesome recipes using this paderno spiralizer and have been looking to order one so here’s to hoping I can win one haha. 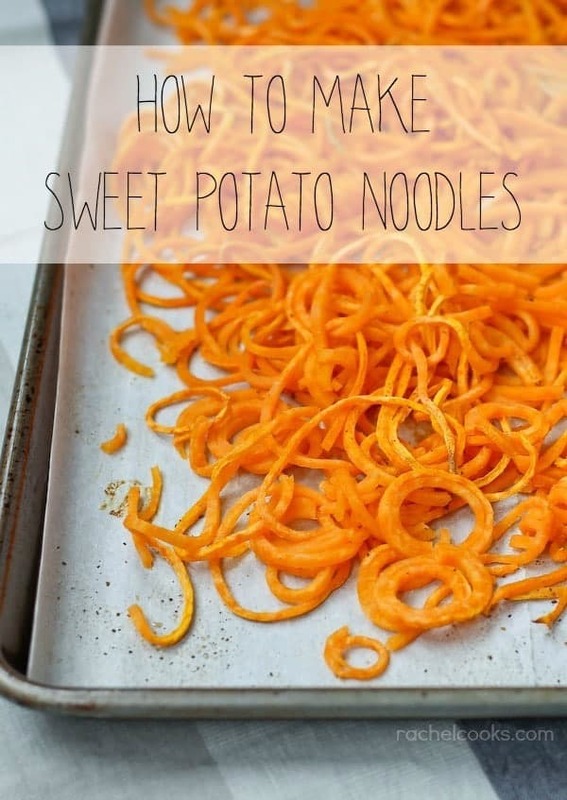 The sweet potato noodles would be the FIRST thing I make because I absolutely love sweet potatoes! So healthy and they taste like a treat since they are so sweet! Yum! I made these the other day, but I have a hand-held spiralizer and it was tough work (even though they were delicious.) Checking this brand out!